I had to use “bundt” in the title because if you have ever seen The Big Fat Greek Wedding, you know what I’m talking about. In my family there have been many discussions about this cake pan. Believe me it wasn’t nice. 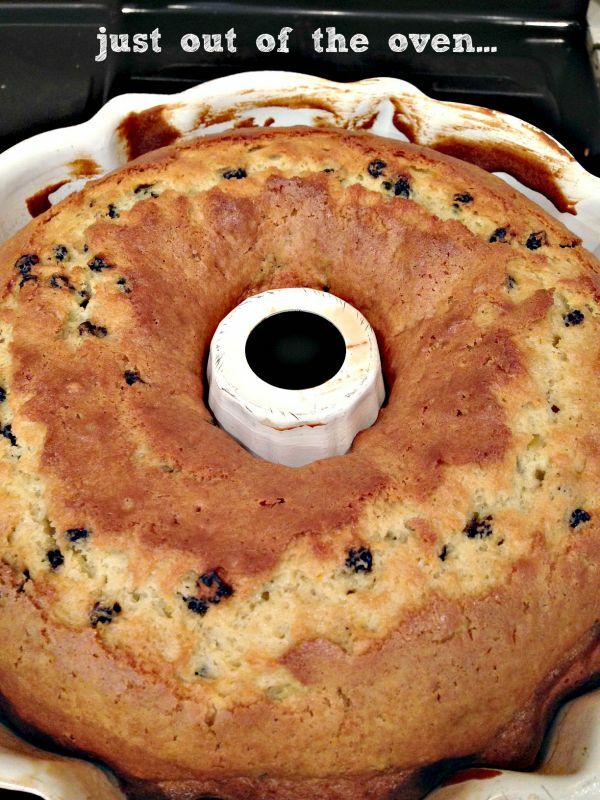 Greeks could never understand why you would possibly place a hole in the middle of your cake. For those of you who haven’t seen the movie (shame on you) The scene starts out with the mother-in law as she brings a bundt cake for a dessert to the in-laws house. The Greek mother responds with “What’s this?” and she tries to explain it’s a bundt cake, and the response from the mother is hilarious! Below is the quote. Maria Portokalos: There is a whole in this cake! 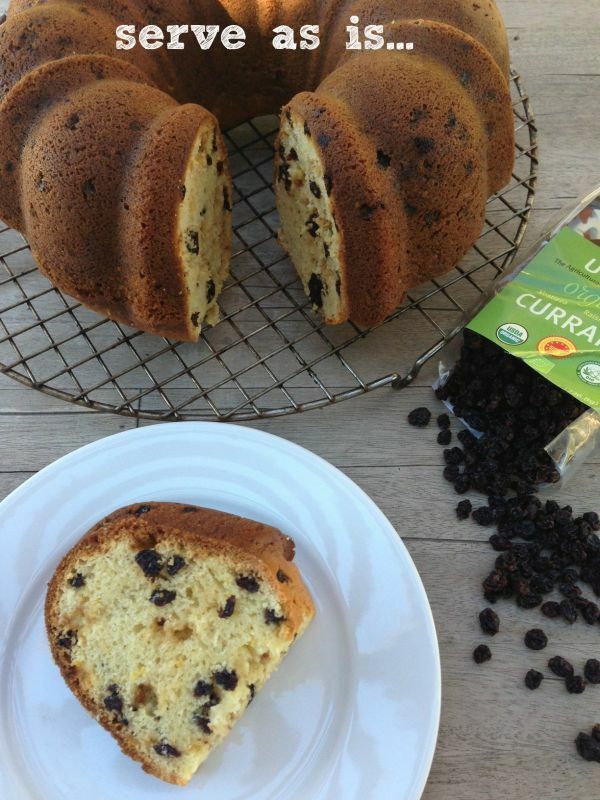 I used Organic Currants from Vostizza, Greece for this recipe. They can be found at Arianna Trading Company. Here is my version of a bundt cake which I love to make for a breakfast treat. Serve it with a herbal tea, or have to for dessert with a homemade ice cream. Grease a Bundt pan with olive oil and flour. In a mixer beat together olive oil and sugar until smooth. Add one egg at a time, beating until blended. 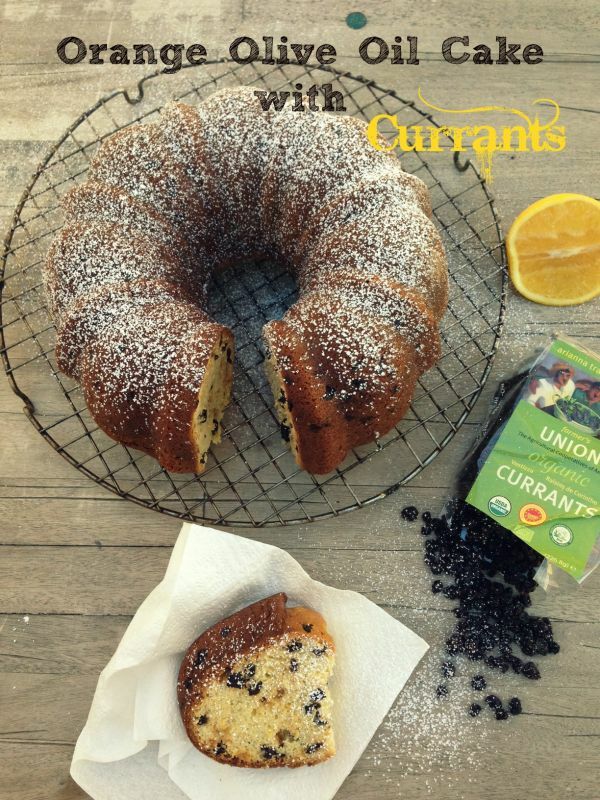 Coat the currants with flour and with a large spoon gently hand blend. Pour into mold and bake for one hour. Invert on to a large platter and sprinkle with powdered sugar. This recipe is for my dear friend George Menzelos from Arianna Trading Company. My Greek version of a bundt cake, like my mother used to say -“A Cakey” for you! Since I met you, your kindness has been so genuine. I appreciate all the bottles of oil, olives, sauce and salt you have donated for my cooking classes, olive oil tastings, and for developing my olive oil recipes. 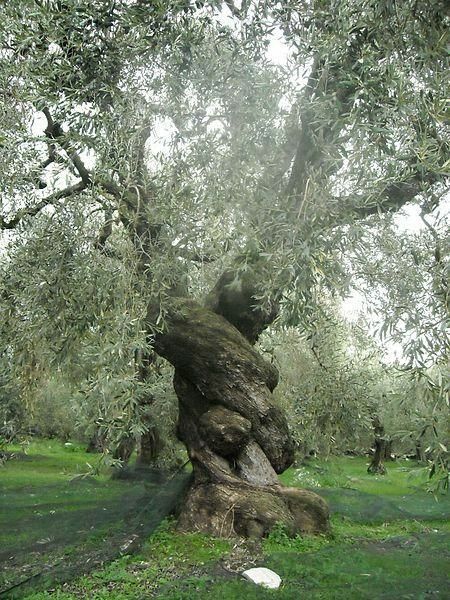 I guess I could have offered you an olive oil tree for a token of my appreciation, but it may outgrow your home. e rapid recuperation and renovation of the Athenians in the face of adversity. © 2014, Mary Papoulias-Platis. All rights reserved.